GREENMAX is specialized in the foam industry and manufactures recycling systems that enable the EPS and many other foam materials to reuse as much as possible in their production. 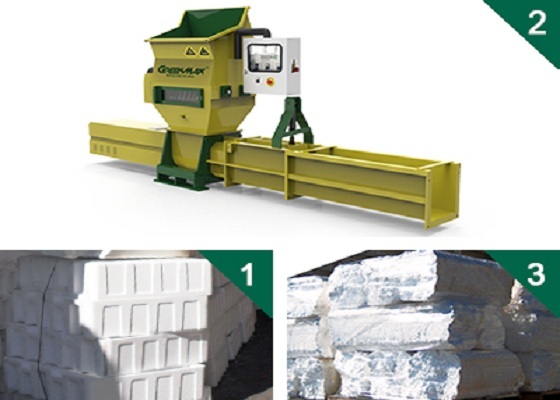 The waste foam can be compacted at the ratio of 50:1 with our GREENMAX APOLO C200 compactor. Before compacting 50 trucks were needed to take the EPS to recycling centers and now only one truck is needed. This extremely resilient building and packing material does not need to end up in your local landfill after its original use. Bright technologies EPS compacting equipment is the most reliable long term investment in EPS recycling.